Human settlement at Erbil can be dated back to possibly 5000 BC, and it is one of the oldest continuously inhabited areas in the world. At the heart of the city is the ancient Citadel of Arbil. In the early part of the 3rd millennium BC, the Hurrians from Asia Minor were the first to establish Urbilum and expand their rule to parts of northern Mesopotamia. The city became an integral part of Assyria from the 25th century BC to the 7th century BC, but after it lost its independence at the end of the 7th century BC, both Assyria and the city of Erbil were under the rule of many regional powers in turn, including the Babylonians, the Medes, the Persians and Greeks. Following the Arab Islamic conquest of Mesopotamia, the Arabs dissolved Assyria (then known as Assuristan/Athura) as a geo-political entity in the mid-7th century AD, and during medieval times the city came to be ruled by the Seljuk and Ottoman Turks. It is difficult to believe today, when Erbil has emerged as a global economic player and a major tourist destination, that less than a century ago Erbil was little more than a desert-strewn wildscape where Bedouin tribes roamed the sands and a huddle of settlers crowded around the banks of the lifeblood creek. Even as Europe embarked on the mass industrial destruction of World War I, Erbil still had no running water, no real roads. The regional instability that has followed the Iraq war and the rise of Al-Qaeda has, however, put a strain on the Kurdisch region and still threatens to hit tourism, one of its most successful industries. 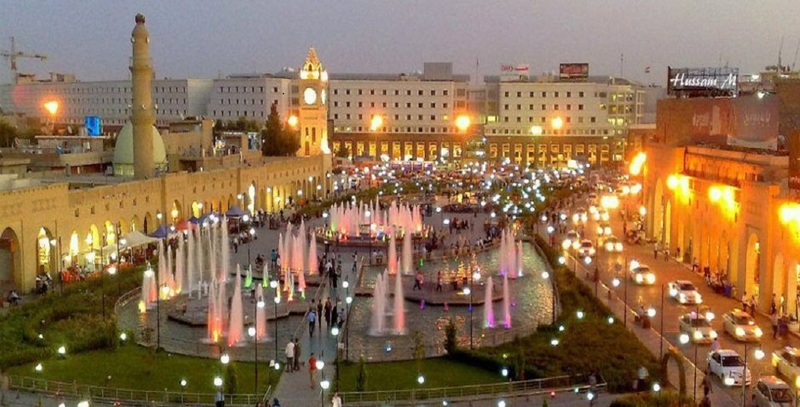 Tourism currently remains remarkably resilient with more and more tourists flocking to Erbil every year, which is unsurprising really, considering the idyllic climate for much of the year, with constant sunshine and only an average of five days of rainfall annually. During summer, however, the heat is extreme, making trips away from air-conditioned vehicles and buildings unbearable. 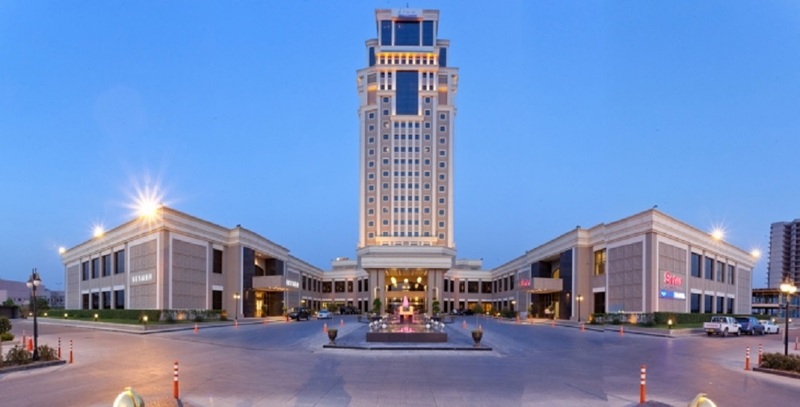 The future prospects of the Kurdisch region tourist industry and its economic situation as a whole may be increasingly governed by developments in the rest of the Middle East, but for now Erbil is a city on the rise and rise. 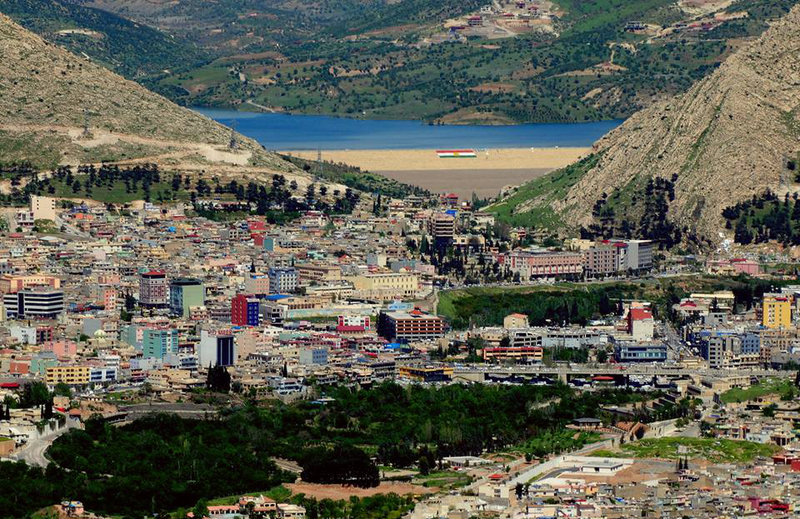 • With a population of currently around 4 million and rapidly increasing, the three governorates of Duhok, Erbil and Suleimaniah cover approximately 40,000 square kilometres – four times the area of Lebanon and larger than that of the Netherlands. • The Region is geographically diverse, from hot plains to cooler mountainous areas blessed with natural springs where snow falls in the winter. • Since March 2003 not a single coalition soldier has died nor a single foreigner been kidnapped in the areas administered by the Kurdistan Regional Government (KRG). 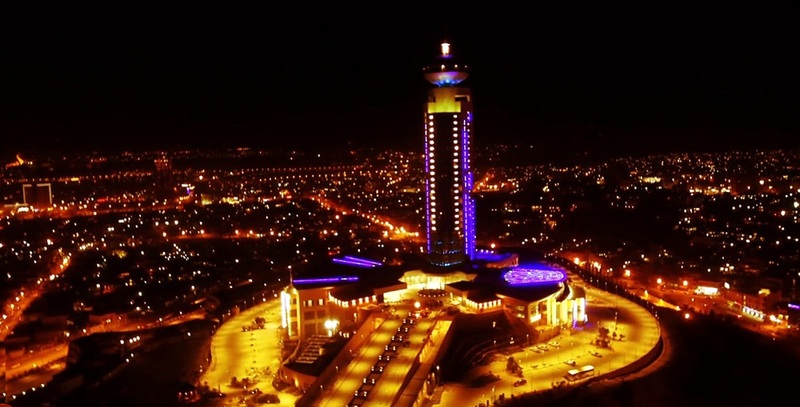 • The capital and seat of the Kurdistan Regional Government is Erbil, a city known locally as Hawler. 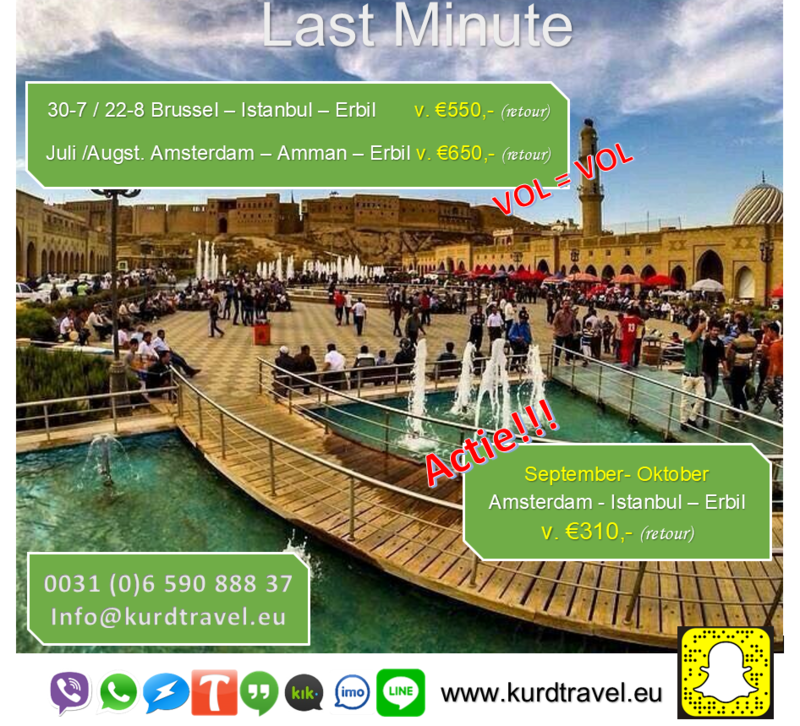 • The Citadel in Erbil is said to be the longest continually inhabited place in the world. • The Kurdistan Regional Government exercises executive power according to the Kurdistan Regionâl laws as enacted by the democratically elected Kurdistan National Assembly. The current government, led by Prime Minister Nechirvan Barzani, assumed office on 7 May 2006. • Iraqâ€™s Constitution recognises the Kurdistan Regional Government, the Kurdistan National Assembly and the Peshmerga guard as the legitimate regional forces. • The current coalition government consists of several political parties that reflect the diversity of the Regionas people, who are Chaldeans, Assyrians, Turkmen, Yazidis and Kurds living together in harmony and tolerance. • Since the Anfal genocide campaign by Saddam Husseinâ€™s Regime in the 1980s, more than 65% of the razed villages have been rebuilt by the Regional Administration. • The Kurdish language is distinct and is in the family of Iranian languages, such as Persian and Pashto. There are two main dialects, Sorani and Kurmanji. • The Kurdistan Region has seven universities, including the English language University of Kurdistan-Hawler in Erbil which opened in September 2006, and the American University of Iraq in Suleimaniah which started its first programme in autumn 2007. It has been claimed that Erbil is one of the oldest continuously inhabited cities in history. The first mention of Erbil in literary sources’ comes from the archives of Ebla. They record two journeys to Erbil (Irbilum) by a messenger from Ebla around 2300 BC. Later, Erridupizir, king of Gutium, captured the city in 2200 BC. Erbil was an integral part of Assyria from around 1900 BC until 605 BC, and it remained part of Assyria under Persian, Greek, Parthian, Roman and Sassanid rule. Under the Median Empire, Cyaxares might have settled a number of people from the Ancient Iranian tribe of Sagartians in Arbela and Kirkuk, probably as a reward for their help in the capture of Nineveh. The Persian emperor Cyrus the Greatoccupied Assyria in 547 BC, and established it as an Achaemenid satrapy called in Old Persian Aθurā (Athura), with Arbela as the capital. The Battle of Gaugamela, in which Alexander the Great defeated Darius III of Persia in 331 BC, took place approximately 100 kilometres (62 mi) west of Erbil. After the battle, Darius managed to flee to the city, and, somewhat inaccurately, the confrontation is sometimes known as the “Battle of Arbela”. Erbil became part of the region disputed between Rome and Persia under theSasanids. The ancient Assyrian kingdom of Adiabene (the Greek form of Ḥadyab) had its center at Erbil, and the town and kingdom are known in Jewish Middle Eastern history for the conversion of the royal family to Judaism. Its populace then converted from the Mesopotamian Religion during the 1st and 2nd centuries to Church of the East Christianity, with Pkidha traditionally becoming its first bishop around 104 AD. The metropolitanate of Ḥadyab in Arbela (Syriac: ܐܪܒܝܠ Arbel) became a centre of eastern Syriac Christianity until late in the Middle Ages. Arbela was an early center of Syriac Christianity. By 100 AD there was a bishop seated in the city. As many of the Aramaic-speaking Assyrians adapted Biblical (including Jewish) names, most of the early bishops had Eastern Aramaic or Jewish/Biblical names, which does not suggest that many of the early Christians in this city were converts from Judaism. It served as the seat of a Metropolitan of the Assyrian Church of the East. From the city’s Christian period come many church fathers and well-known authors in Syriac. When the Mongols invaded the Near East in the 13th century, they attacked Arbil for the first time in 1237. They plundered the lower town but had to retreat before an approaching Caliphate army and had to put off the capture of the citadel. After thefall of Baghdad to Hülegü and the Mongols in 1258, they returned to Arbil and were able to capture the citadel after a siege lasting six months. Hülegü then appointed an Assyrian Christian governor to the town and there was an influx of Jacobites, who were allowed to build a church. As time passed, sustained persecutions of Christians, Jews and Buddhists throughout the Ilkhanate began in earnest in 1295 under the rule of Oïrat amir Nauruz. This manifested early on in the reign of the Ilkhan Ghazan. In 1297, after Ghazan had felt strong enough to overcome Nauruz’s influence, he put a stop to the persecutions. During the reign of the Ilkhan Öljeitü the Christian inhabitants retreated to the citadel to escape persecution. In the Spring of 1310, the Malek (governor) of the region attempted to seize it from them with the help of the Kurds. Despite Mar Yahballaha’s best efforts to avert the impending doom, the citadel was at last taken by Ilkhanate troops and Kurdish tribesmen on July 1, 1310, and all the defenders were massacred, including all the Christian inhabitants of the lower town. The city’s Aramaic-speaking Assyrian population remained significant until the destruction of the city by the forces of Timur in 1397. In the Middle Ages, Erbil was ruled successively by the Umayyads, the Abbasids, the Buwayhids, the Seljuks and then the Atabegs of Erbil (1131–1232), under whom it was a Turkmen state; they were in turn followed by the Ilkhanids, the Jalayirids, the Kara Koyunlu, the Timurids, and the Ak Koyunlu. Erbil was the birthplace of the famous 12th and 13th century Kurdish historians and writers Ibn Khallikan and Ibn al-Mustawfi. Erbil and all of Iraq passed into the hands of the Ottoman Turks in the 16th century. Erbil was part of the Musul Vilayet in Ottoman Empire for 400 years until 1918. 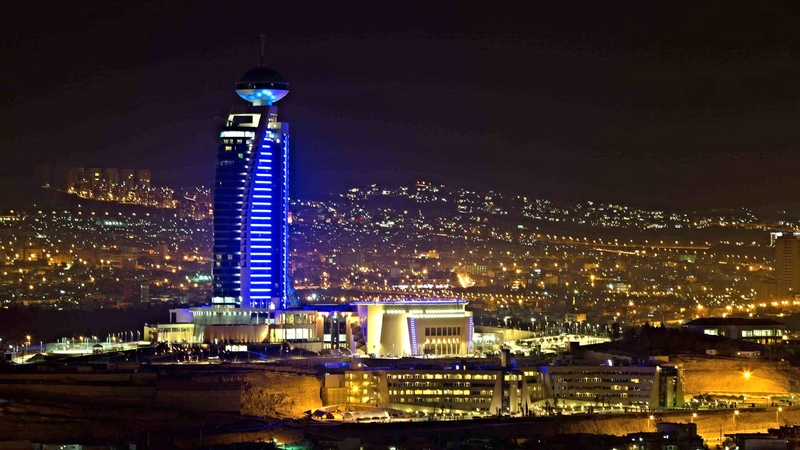 The modern town of Erbil stands on a tell topped by an Ottoman fort. During the Middle Ages, Erbil became a major trading centre on the route between Baghdad andMosul, a role which it still plays today with important road links to the outside world. Today, the Kurds form the largest ethnic group in the city, with smaller numbers of Arabs, Assyrians, Turcoman, Armenians and Mandeans also extant. The parliament of the Kurdistan Autonomous Region was established in Erbil in 1970 after negotiations between the Iraqi government and the Kurdistan Democratic Party (KDP) led by Mustafa Barzani, but was effectively controlled by Saddam Hussein until the Kurdish uprising at the end of the 1991 Gulf War. The legislature ceased to function effectively in the mid-1990s when fighting broke out between the two main Kurdish factions, the Kurdistan Democratic Party and the Patriotic Union of Kurdistan (PUK). The city was captured by the KDP in 1996 with the assistance of the Iraqi government of Saddam Hussein. The PUK then established an alternative Kurdish government in Sulaimaniyah. KDP claimed that on March 1996 PUK asked for Iran’s help to fight KDP. Considering this as a foreign attack on Iraq’s soil, the KDP asked the Iraqi government for help. The Kurdish Parliament in Erbil reconvened after a peace agreement was signed between the Kurdish parties in 1997, but had no real power. The Kurdish government in Erbil had control only in the western and northern parts of the autonomous region. During the 2003 Invasion of Iraq, a United States special forces task force was headquartered just outside of Erbil. The city was the scene of celebrations on April 10, 2003 after the fall of the Ba’ath regime. During the US occupation of Iraq, sporadic attacks had hit Erbil. Parallel bomb attacks against Eid celebrations killed 109 people on February 1, 2004. Responsibility was claimed by the Ansar al-Sunnah, and stated to be in solidarity with Ansar al-Islam. Another bombing on May 4, 2005 killed 60 civilians.